(CBS/AP) LOS ANGELES - Los Angeles police detectives have arrested an Ohio man in connection with the 33-year-old cold case murder of 52-year old business executive James Gentry, in 1978. 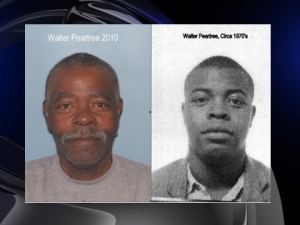 Walter Randolph Peartree, 62, was arrested in Delaware, Ohio on Monday on a murder warrant out of Los Angeles County, the Los Angeles Police Department said. Peartree was a former carnival worker, according to the Los Angeles Times. Cold case detectives say they linked forensic evidence from Gentry's murder to Peartree with the use of new technology not available in 1978. According to the LAPD news release, Ohio police had been helping Los Angeles cold case detectives investigate the murder of Gentry, who was fatally stabbed in his Westside home on April 10, 1978. No extradition date has been set for Peartree but he was to appear in an Ohio court as early as Tuesday.